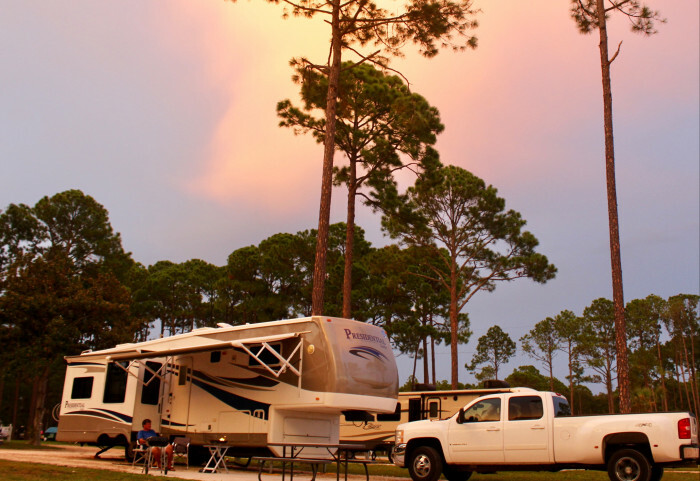 Ask fellow campers about "Coastline RV Resort" and nearby attractions. Question: How is the Att cell service in this area? Answer: No TMobile which is on my Ipad Pro, Verizon was fine. I checked AT&T on my Coverage app (available free for IOS and worth it if you travel much) and it appears to be good for LTE. Question: thinking of book this for our rv site. is this resort the best bang for your buck and we love oysters. where do the locals go to eat. Answer: There are two campground sections for this resort. One offers a swimming pool, brick/concrete pads. The other one does not, & is less per night. 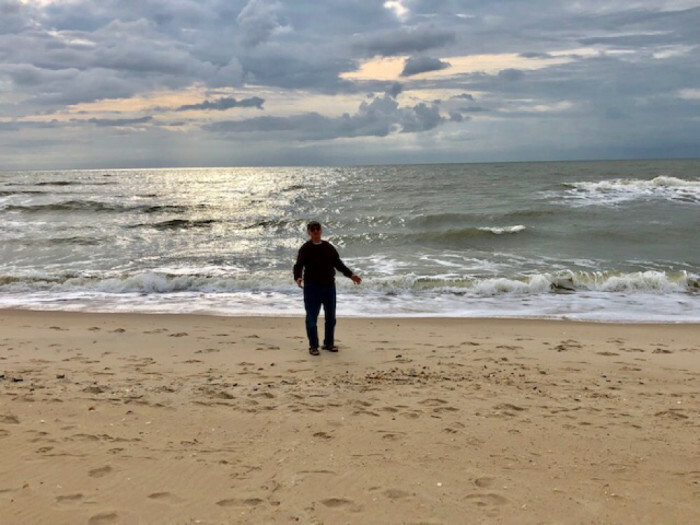 We used the one without the extra amenities because we spent a lot of time at the beach & fishing on St. George Island. Enjoyed our stay & will return. As for a local oyster place, there are several in the area. We enjoyed Lynn’s just up the road. Even bought seafood at their seafood counter in front of restaurant. Very “old Florida” & rustic, but delicious! The views looking across the Gulf from this park are gorgeous. Our site, one of the "premium" sites, in the front of the park offered a gorgeous view but in no way felt "premium". It was an end site (#10) and normally these are better sites - one for which we don't normally mind paying a bit more. Not in this case. The paver patio was very pretty, (no grass though - all other sites have grass) but was a semi-circle and all traffic kicked up dust onto our patio as they squeezed around the narrow roadway. I booked WAY ahead of time and they booked us and our 43 foot 5th wheel into this site. We barely fit. We squeezed our truck on the patio but the maintenance man came by and told us we could not park on the pavers. Nice guy - of course, just following rules. He later came back and told us that they said we could park there after all. We went ahead and moved, however, to extra parking about 50 or so yards away. There would have been no way larger rigs would have been able to maneuver around the corner with our truck there. Nice pool, clubhouse and workout room. But if you are over 35 feet or want grass, say NO to site #10! And they require full payment upfront. We camped at Coastline RV Resort in a Fifth Wheel. We stayed for a month 2/18 and for 1 night 2/19. Love this campground but wish it was warmer in February (60s). 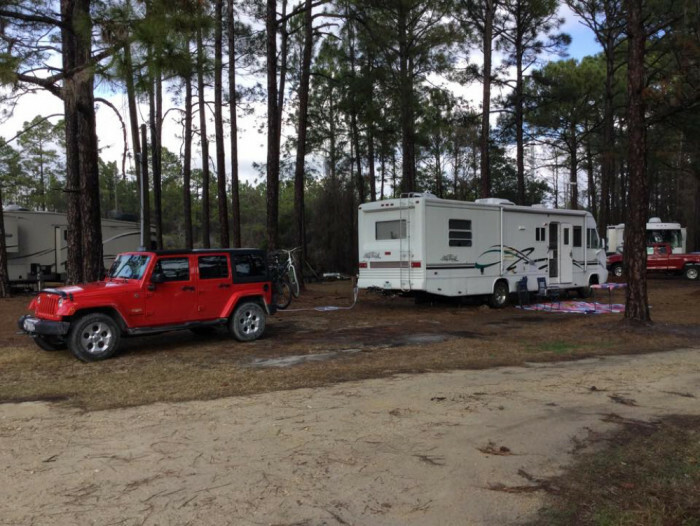 A monthly stay in the seasonal section of the campground is very reasonable and includes WiFi and cable. The campground side of the resort is a more natural setting under pines which is where we spent 2/18. They have added cottages in the last year and are working on a pool for the campground side. Laundry and showers are very clean and staff are wonderful! The campground is rebuilding the Pesky Pelican restaurant on-site which used to be in downtown Eastpoint until the 10/18 hurricane. St George Island is a 10 min drive. There you will find beautiful beaches, Weber’s Donuts, and a variety of restaurants. There is an IGA in nearby Apalachicola and a Walmart about 50 min away in Crawfordville. Come well stocked to avoid paying higher local prices. The campground is building a Pesky Pelican restaurant on-site which used to be downtown until the 10/18 hurricane. You can’t go wrong with this campground! We camped at Coastline RV Resort in a Motorhome. 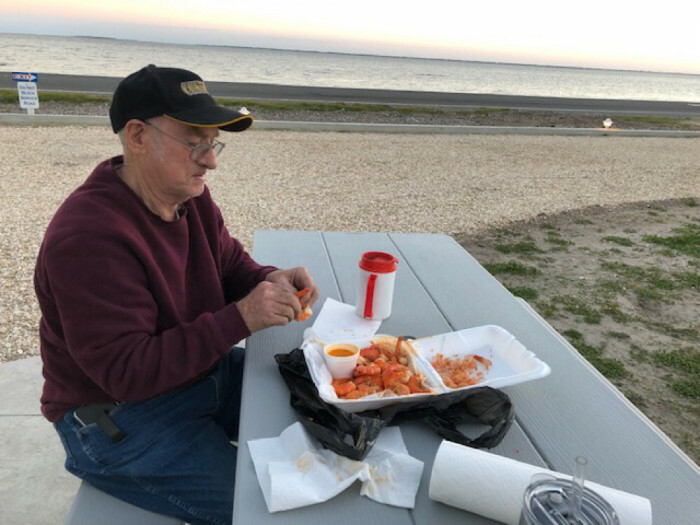 Lynn’s Oysters has a wonderful variety of seafood and we love the garlic butter steamed shrimp. This is an immaculate RV park, with concrete pads at every site, and paver patios next to them. We had a pull through and plenty of room. The bathrooms and showers were the nicest I have experienced in any campground - plenty of water, plenty of heat, luxurious space, nice soft music playing. There is a pool, but we did not use it as the temperature felt a bit cool to us while we were there. The staff is very friendly and helpful. It is right on Highway 98 and you can't walk across to the beach as there is no access due to the hurricane damage. There is a lot of road work going on but hopefully within a few months, that will be completed. It is noisy with the highway right there - that is the only negative. We camped at Coastline RV Resort in a Motorhome. We stayed here when the park was first opened and had a great time. It has taken a few years to get back but well worth the trip. 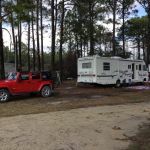 We stayed in the campground vs the resort area but either one is a great stay with good views of the gulf. The staff is great and very helpful. The spaces are nice size and situated to give the best views to as many spaces as possible. One of the finest parks we stayed in in our travels. They seem to be very busy and full most of the time and I can see why. We are glad to be back and will come again. 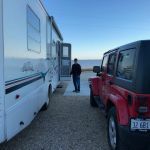 We camped at Coastline RV Resort in a Fifth Wheel. Quiet, clean, VERY well maintained! Patios at every site, two sewer hookups at each site give plenty of flexibility for dumping. Level, crushed rock pads. VERY nice pool area. Clean clubhouse, fitness center and AMAZING views! We camped at Coastline RV Resort in a Fifth Wheel. We had one of the 5 sites with a beautiful bay view, but be aware that the busy Hwy. 98 is between you and the water. The highway noise didn't bother us even though we spent a lot of time sitting outside on the very nice patio. You can walk across the road to enjoy a nice fishing dock with benches, but there is no beach access. You might want to bring along your umbrella since the picnic table has a hole for that. You can only buy ice and t-shirts in the office but can find groceries and restaurants in nearby Eastpoint. Nicest bathhouses I've ever seen, small but adequate laundry room, nice pool, screened porch and clubhouse. Most facilities are accessed by a keycode. 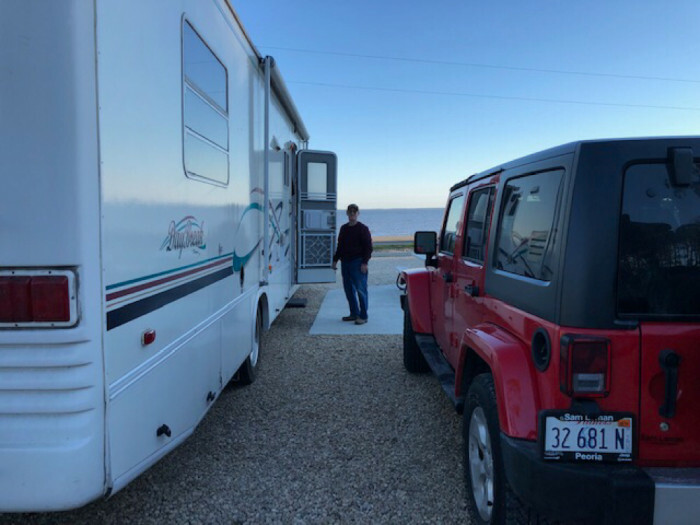 We camped at Coastline RV Resort in a Fifth Wheel. 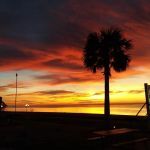 Carrabelle, Eastpoint, Apalachicola, and St. George are all nearby with many restaurants and old Florida history. Don't miss the Cape St. George lighthouse and pretty beaches. Go to Carrabelle to visit a military museum and Crooked River lighthouse. You can take a nice boat ride along Appalachicola's waterfront with a colorful captain full of local stories. 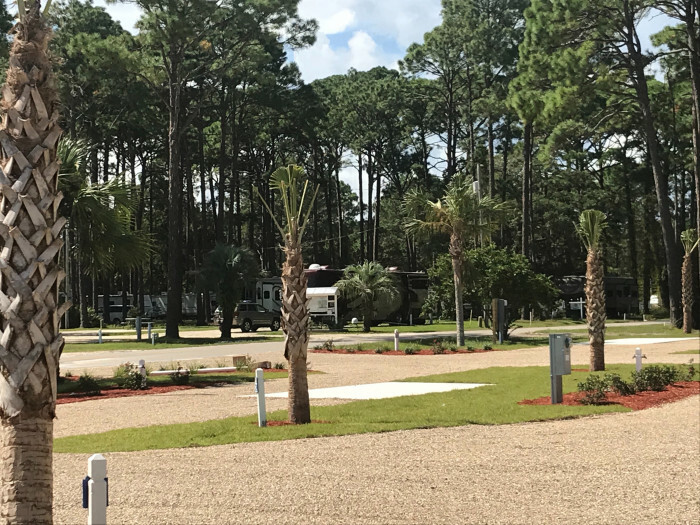 There are two sections to this campground... one is the resort which includes paver patio, clubhouse, and pool, pier, and other amenities. The other campground is just down the road and is gravel sites with cement patio. Both have full hookups, cable & WiFi. Quite a bit of improvement work has been done since our last visit two years ago with more major improvements planned. We stayed on a front site in the new section of the campground with a view of the water. Bath house and 2 unit washer & dryer nearby. Route 98 runs between the campground and resort and the water, however we did not find that a hindrance to the view. We love the convenient location to St. George Island beaches. We camped at Coastline RV Resort in a Fifth Wheel. Convenient access to St. George Island and Apalachicola. 44' MH towing Honda CRV. Arrived after it caught the edges of hurricane Gordon. Original site #20 still too soggy but they reassigned us to #24 without any problems. Power pedestal is a tad far on the back of the site and might challenge a long MH with a mid ship power bay unless they have a long cord. Sites #20 & 25 are not suitable for long rigs towing anything and don't really have a place to park a toad. All other pull throughs (Tier 4 & 5) north of office are very adequate. Patio placement on the rest of those sites is very good. Power pedestal is a tad far on the back of the site and might challenge a long MH with a mid ship power bay unless they have a long cord. Satellite view is unlimited through out the resort. Personally, I wouldn't pay the rates for Tier 1-3 sites but they aren't crazy in price either. We camped at Coastline RV Resort in a Motorhome. Apalachicola & Saint George Island are nice to visit. Apalachicola has some quaint local shopping and some great oyster bars. We really love the "Hole In The Wall" which is a smallish and very homey in feel. Think a small "Cheers" kind of place where everyone can hear everything. We loved staying here. There are 2 sections to the campground, and although on a main road, we chose our site well, so did not have a problem with traffic noise. Our site was big, concrete pad and under a tree. The cleanest bathrooms we have ever been into. There is a great swimming pool, and at this time they are putting down a lot of new sites. We really recommend this park. We camped at Coastline RV Resort in a Fifth Wheel. Pesky pelican Restuarant has a great deck overlooking the water with $2 beers all day. 8 miles away is beautiful St. George's Island with the perfect white beaches and a big choice of Restuarants. We loved Paddy's raw bar, and Dr Myers. Carrabelle, about 25 mins away, has a very large grocery store. For golfers, St James is a magnificent course, about 10mins out of Carrabelle. This is an actual resort looking RV resort. Very new and clean. Nice office, pool and clubhouse. Sites are very large and clean gravel, with brick paver patios and tables. Nice green grass space in between. Plenty of room for slides and awnings. Large place to park built in to site design. Location is across highway 98 from coast, as there isn't much "beach" and water can get a little lumpy with the onshore breeze. Coastline RV has two sites about 500 yards apart. The "Resort" which is where we stayed, with pool and paver sites, and the "Campground" which is basic, gravel and grass without the frills. Very conscientious and efficient staff, both in office and groundskeepers. When we made reservations (Memorial Day Weekend) they could not accommodate us beyond Friday. Packed with weekend campers. During check-in, I asked to be put on waiting list for cancellations and was #15 on list. Very rainy forecast apparently changed a lot of plans, and the staff called and offered us a spot for the weekend. Initially we were in #30 which is all the way in the back of the park. Pretty quiet and private but no real view. We were then moved to site #1, a back-in on the front row next to the entrance. 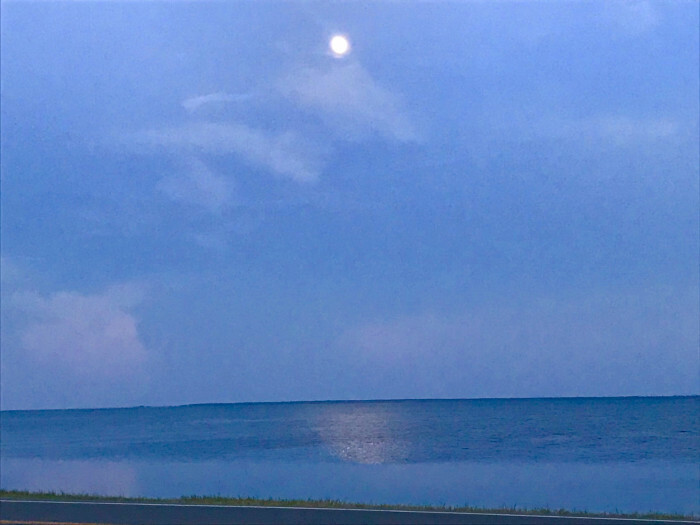 Awesome view out the rear window of the gulf (actually the Apalachacola Bay). Downside is the road noise from Hwy 98 which was loud. 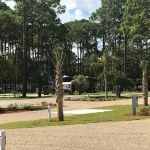 We camped at Coastline RV Resort in a Travel Trailer. We rode bikes to East Point to the only Mexican restaurant for miles, El Jalisco. Not much to look at, but nice inside and a large menu. 2 for 1 margaritas and basic nothing to write about food. Closest medium grocery is the Piggly Wiggly in Apalachicola, which has a nice waterfront and a few more restaurants. Day trip into Carabelle, which boasts the worlds smallest police station and a WW2 museum, highlighting Camp Gordon Johnston where they trained amphibious landing forces. We stayed for a month in our 40' motorhome at the campground, which is just west of the resort section. Plenty of room for the rig and our tow. The park is well situated in Eastpoint between Carrabelle and Apalachicola. For us, we prefer the campground side as each coach has a patio and grass, and treed areas on either side. The resort is all gravel and brick pavers with little in the way of green space. The campground is very dog friendly, with a shady area to walk dogs. We were allowed to put up our x-pen on our campsite. They are expanding the park on the east side of the road next to the campground. The only reason I didn't rate Coastline higher is that the traffic noise from 98 makes it feel a little like you're camping by the freeway. Last year we had a bay site and couldn't hear conversations on our patio. The view of the bay isn't worth the road noise. We camped at Coastline RV Resort in a Motorhome. Be sure to eat at the Pesky Pelican in Eastpoint. The Apalachicola Estuarine Research Reserve is interesting and offers many workshops. 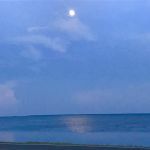 There is a lot of excellent paddling in the area and many places along 65 and Apalachicola to put in a boat or a kayak. Stop at the Creamer Brothers store to check out the birdhouses and pottery in Eastpoint. Oyster Brewery in Apalachicola has a happy hour from 4 - 6. I made a reservation a year in advance to get the Gulf water view that we wanted. At the time of the reservation I informed the woman taking the reservation that we would be coming in a motor coach. When we arrived we discovered all the Gulf facing sites are set up for 5th wheels putting utilities on the wrong side for us. So, if you want to look out your windshield at the beautiful Gulf you must have sufficient electric cord, water and sewer hose to make it work. I was really upset that the owner did not take out a few minutes to have a conversation with me about this as well as when I made the reservation a year in advance I was not told they would were charging me the full amount upfront and there was a no cancellation policy. The woman that made the reservation was fired for making multiple mistakes with multiple customers but I still wanted the courtesy of a conversation. The sites with the water view are right on the road and there is heavy and very noisy traffic, particularly in the late afternoons/early evening hours. I will not stay here again because of the owner's lack of interest in their customers and the significant road noise. All that said, their bathrooms are fabulous. Granite counters, frosted glass stall doors, automatic turn on/off lighting, and a large shower/dressing area with soft elevator music playing throughout. We camped at Coastline RV Resort in a Motorhome. Go to Appalachiacola (Apalac per the locals) for a fun small town. Don't miss Up The Stairs for a great upscale meal, Up The Creek for a more relax meal, and Oyster City Brewery (very dog friendly). We can't say enough good things about this Campground! The bathrooms are something you'd expect to see in a luxury spa. The pool is very nice, although not heated. The clubhouse has a nice screened porch, small laundry facility, a small workout room plus a community room with a well equipped kitchen. They host Wednesday evening get togethers at the clubhouse. Nice gravel roads with back in sites and brick paved patios. The best part is the view: get a spot in the front section, and you'll have beautiful views of the bay from your campsite. We camped at Coastline RV Resort in a Motorhome. Go visit St. George island for fun beach bar hang outs, and Apalachicola for shopping, dining and historic sites. There are two good grocery stores in town- Piggly Wiggly and an IGA, plus a good hardware store on the way there. This review is for the Coastline RV Campground where we stayed for a month. We were in a seasonal site and it was just long enough for our trailer. We did have a view of the bay and loved the area in general. Fishing is good in the area (and in front of the campground). They are supposed to add wifi to the campground, but not sure the "seasonals" will get to participate. Cable tv was very good, utilities worked well, and Verizon service was excellent. No picnic table and we were prohibited from using the bathroom or laundry. We would return if in the area. 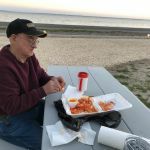 We camped at Coastline RV Resort in a Travel Trailer. Loved St George Island and Apalachicola! Eat at Hole in the Wall in Apalach. Stayed here for a week. What a view. Great campground, and very friendly staff. Highly recommend. We camped at Coastline RV Resort in a Motorhome. Try the stuffed grouper at the Family Coastal Restaurant just down the street. 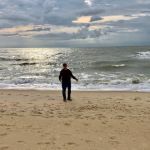 St George's Island is a fun drive with a great beach. Apalachicola is a historical fishing village with shops and restaurants. Sunsets on the Coastline RV Resort Pier often feature a flyover - or two - with a bald eagle that obviously lives in the area. One night we heard a Barred Owl "who cooks for you" hoo hoo. The hermit crabs in the shallow clear water off the pier provide a never ending source of amusement. We've never seen hermit crabs so busy in motion. ENJOY! The Station is a good place for reasonably priced oysters and their stuffed shrimp was excellent. Enjoy oyster at Lynn's Quality oysters up the road. St. George Island has beautiful beaches and a nice pine forest to hike in. Apalachicola is a great town to walk the historic area. Oysters at Hole In The Wall were very tasty. Stay long enough to enjoy the many great restaurants and oyster bars in Apalachicola and enjoy the beach on St. George Island. It's personal preference but we thought sites fronting the water had road noise and wouldn't be worth an extra cost. We were very happy with Site 25 because our Class A big windshield had an open view to the water. It was lovely. We didn't have road noise plus we had a corner patio with no one next to us. Try the duck confit fries at The Owl Tap Room (trust me on this). El Jalisco is good and affordable. Avoid Family Coastal restaurant. Walk around Apalachicola downtown area for some nice shopping. NEWWR museum, Red Pirate Grill, Pesky Pelican, El Jalisco Mexican restaurant, St George Island and Apalichicola homes !!! Must visit Apalachicola! We met up with friends, and they took us into Apalachicola for dinner. Plenty of good restaurants!! No large grocery stores but can find most things within 10 miles. 15 minutes to Apalachicola or St. George Island. 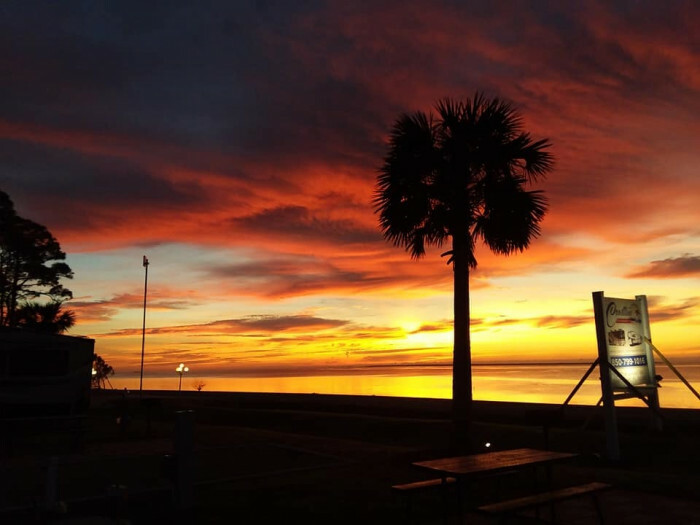 Apalachicola has a number of good restaurants, as well as St. George Island. Dogs are not allowed on FL beaches but on trails in state park on key. RV Park is very dog friendly. Apalachicola is about 10 miles down the coastal road. Great small town for eating, drinking, and shopping. Beware of speed zones along coastal road -- they take these seriously. Fishing and some great restaurants in Apalachicola. Apalachicola is a short 9 miles away- historic downtown area, shops, restaurants, etc. Beautiful scenic ride into town! Enjoy the beautiful landscaping and coastline scenery. You are 10 miles from historical Apalachicola. St. George Island and Caravelle, unique shops and art galleries and great sea food. The local seafood is excellent ..... try Lynn's! Pretty far to a grocery store so be sure to have what you need. Eastpoint is close to St. George Sound which has beach access. One thing to watch for is bears - there are bear crossing signs all over. This park is across the street from a state forest so they probably come from there down to the water. Good seafood at Lynn's about 3 miles west. Take the bridge over to St George. St George was a great place to visit. Good seafood and oysters at Up the Creek Restaurant in Apalachicola. Stop at the Maritime Museum in Apalachicola for interesting history of the city. Best oysters in the area at Lynn's Quality Oysters in Eastpoint. Also, try their mahi fish dip. They will give you a list of restaurant options when you check in at the office. 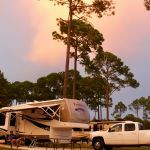 Are you affiliated with Coastline RV Resort ?